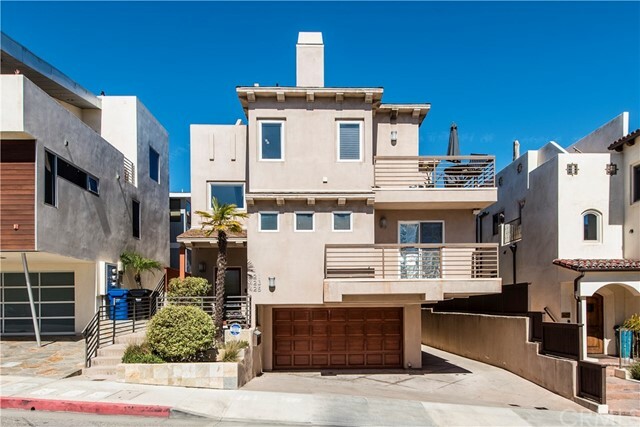 his very clean traditional home offers excellent, high-quality details from floor to ceiling, located in the Hermosa Sand Section. Designed with an excellent floor plan that maximizes the views from several rooms, you'll find ample ambient lighting from multiple skylights and corner windows. The open living space is highlighted by a fireplace, 2 balconies and separate living areas. The spectacular roof top deck provides private outdoor living. © 2019. The multiple listing data appearing on this website, or contained in reports produced therefrom, is owned and copyrighted by Multi-Regional Multiple Listing Service, Inc. ("MRMLS") and is protected by all applicable copyright laws. Information provided is for viewer's personal, non-commercial use and may not be used for any purpose other than to identify prospective properties the viewer may be interested in purchasing. All listing data, including but not limited to square footage and lot size is believed to be accurate, but the listing Agent, listing Broker and MRMLS and its affiliates do not warrant or guarantee such accuracy. The viewer should independently verify the listed data prior to making any decisions based on such information by personal inspection and/or contacting a real estate professional. Listing courtesy of Tony Barberi from Vista Sotheby’s Realty . Last updated Sunday, April 21st, 2019. ACCESS HOMES BEFORE THEY HIT THE MARKET! Get the real-time market access to the newest homes that hit the market.